As mid-year of 2018 approaches, are you any closer to your ‘success’? 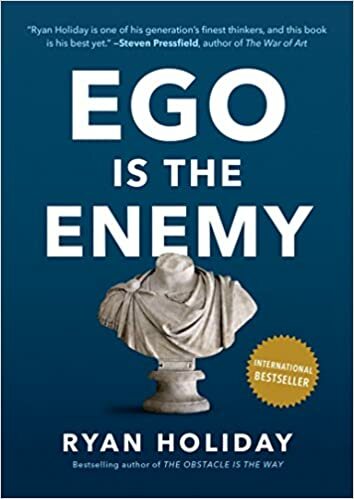 As Ray Dalio suggested in his principles for success, our two biggest barriers to success are our ego and our blind spots. Here are two books that I’ve read recently as it relates to the two biggest barriers. I hope they would help you over come these two barriers and lead you one step closer to your successful life. This book is a great reminder for all of us to be humble in our aspiration, be gracious in our success, and be resilient in our failures. When we are at the early stage of our careers, we must practice to suppress our ego before bad habits and self-indulgence take hold. We are really not as good as we think we are. In reality what we’ve learned in school has little practical values when we are trying to apply them in the real world. At this stage, we would gain most by employing the ‘canvas strategy’ – to learn from the best and to absorb as much as we can from the people that we look up to. When we achieve success (whatever success means to you), remember to stay humble and not to let ego blinds our path moving forward. What got us here will not get us to the next level. Always stay a student. Learn from everyone and every experience that we encounter along the way. Too often, we stop growing once we achieved success, simply because we feel comfortable where we are. Try to challenge ourselves to engage in a field or topic that we know nothing about. Put ourselves in situations where our understanding and believes are being deliberately challenged. May be that new experience will change our perspectives and set us on a different path to higher achievements. When we encounter failures, remember not to magnify the situation. See it the way it is. Inevitably we all face failures at one point in our lives (In fact, in many points in our lives). Please do not add more self-inflicted injuries. There are many reasons for failures. Many variables that we may not be able to control. The only thing we can control is how we look at and handle the situation. Remember why we started in the first place and try to try again. How do you think? Have you ever wonder the approach you use to tackle a problem and to find the solution? Most of us have a default setting in terms of the way we think and approach certain situations. The Art of Thinking outlines the five major styles of thinking –idealist, analyst, realist, synethesist, and pragmatist – and how we can adapt various thinking styles in different situations. The Analyst: Approaches problems in a careful, logical and methodical manner. Pay great attentions to details. Analyzes and judges things within a broad framework that will help to explain things and arrive at conclusions. The Pragmatist: Flexible and adaptive. Tends to be less predictable than people who prefer other styles of thinking. ‘Whatever works’ is what is important. Which of the above thinking style do you employ most often? Knowing how we think and understanding how other people think would help us to approach the situation from various perspectives. This in term cover out blind spots from different angles. I hope you will find these materials useful. All the best to our success!